Now you can send direct mail (real postal mail, like postcards, letters, and snap packs) in just minutes online. 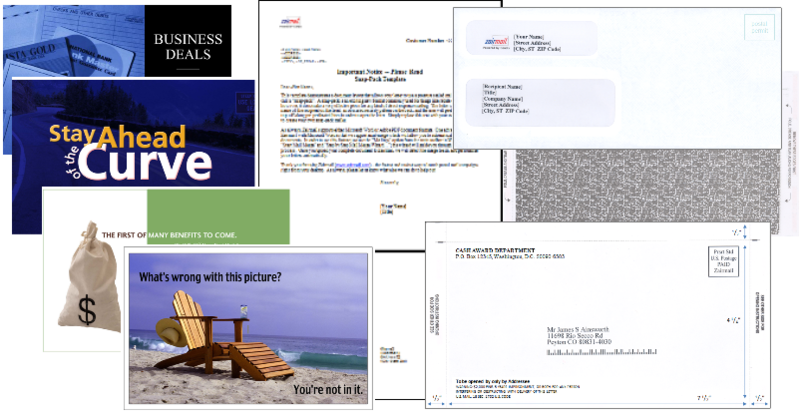 Zairmail is the fast, easy, and inexpensive way to grow your business using direct mail. 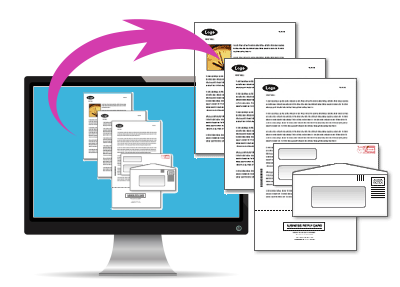 Launch your direct mail campaign fast – 60 seconds or less - with our online submission portal. Our low price includes printing, mailing, tracking - no setup fees or surprise charges EVER. We also offer direct mail lists, direct mail templates, and design assistance to help you scale your mailings for more leads and sales. See immediate results. You can get your direct mail piece in the mail in 48 hours. With our expanded response tracking, you can view your results online and KNOW exactly what is working. Your Free Zairmail Sample Kit has all the information you need to get your direct mail campaigns off the ground! Just CLICK HERE to send us your request. We will send you a Direct Mail Sample Kit with service details and samples of direct mail postcards and direct mail letters. 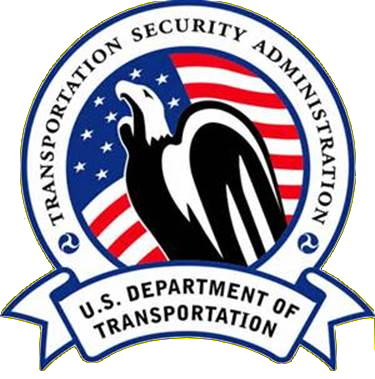 Your Direct Mail Sample kit will be delivered by the United States Postal Service. or Purchase a Mailing List? Get Started with a Free Account. No Credit Card Required. Direct mail with Zairmail is the fastest, easiest, and least expensive way to grow your business using the U.S. postal mail. Send direct mail marketing letters, snap-packs, postcards, self-mailers, or completely custom direct mail designs in minutes. ... and entrepreneurs of all types. 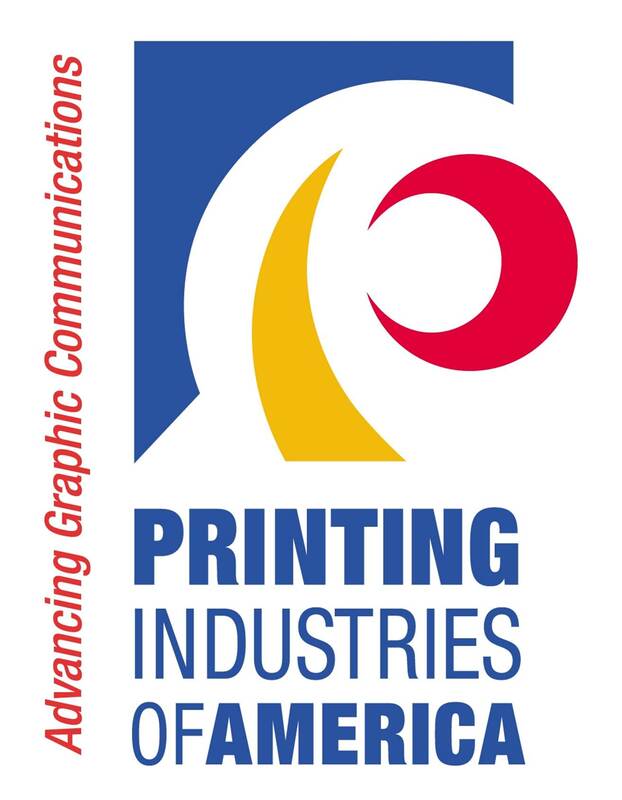 We also can help you with extended services such as direct mail design, demographic research for mailing lists, educational content, business consulting, and valuable special offers. Zairmail provides everything you need to grow your business with Direct Mail Marketing. "Some marketers, such as retailers, are seeing dramatically higher response to their direct mail than in the 1980s. Another bright spot is higher-income households, those earning $65K per year or more. Their 'find it useful,' 'will read,' and 'will respond' evaluations are up virtually across the board compared to 1987, according to household diaries." - From the Direct Marketing 2014 Statistical Fact Book, "Chapter 3: Direct Mail"
Send real postal mail through our site in just minutes. no labelling, no trips to the post office, no hassle. You can create your own completely custom design from scratch, or customize a design from Zairmail's Template Library (click here). Simply save your direct mail masterpiece in Microsoft Word (.docx) or Adobe Acrobat (.pdf) formats. Then log in to our website, and upload your piece. Need help designing your piece? Contact us to have a Zairmail direct mail expert create a custom design for you. You can use your own "house file" or targeted mailing list. Just upload it to our site when you upload your mail piece. Don't have a list? 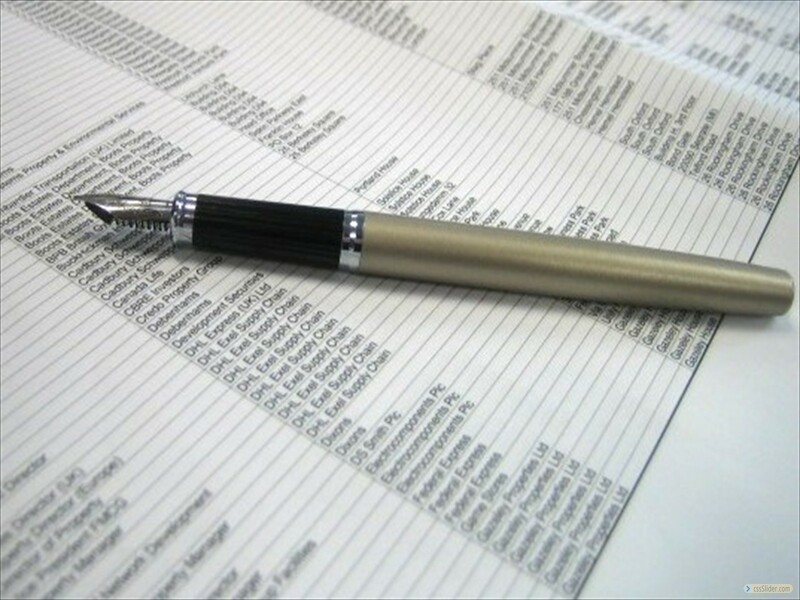 You can purchase a Targeted Consumer or Business List (click here) directly from us using our online list targeting. Need a more specialized list? Contact us to have our direct mail list specialist help you with your needs. Already have your design and list? You are ready to send! Get an online preview of your mailing piece, or you can have the preview emailed to you. Then approve the piece by pressing "Send" (click here). We do the rest. Your direct mail campaign is printed, folded, addressed, and delivered to the US Postal Service. Just 30 seconds to submit. It couldn't be easier. New to Direct Mail Marketing? Contact us for FREE direct mail design and/or targeted direct mail list consulting services. We can help you create that winning direct mail piece or specially targeted mailing list. 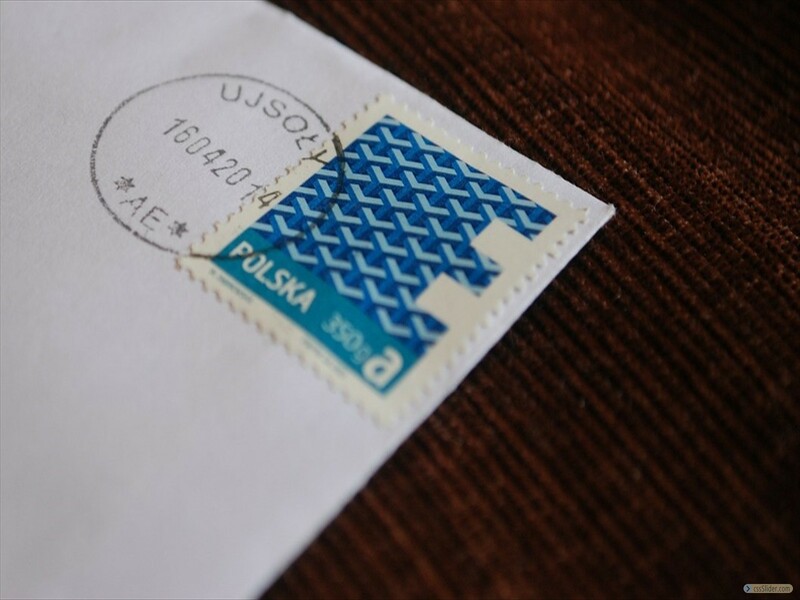 "Zairmail Makes Real, Postal Mail as Fast and Easy to Send as Email"
The Direct Marketing Association reports that the average direct mail campaign can take weeks to get "in the mail." Zairmail breaks that mold for good. Use the Zairmail direct mail wizard to approve an online proof and submit your order fast – takes less than 60 seconds. Your direct mail campaign will be in the mail in 48 hours – sometimes faster. 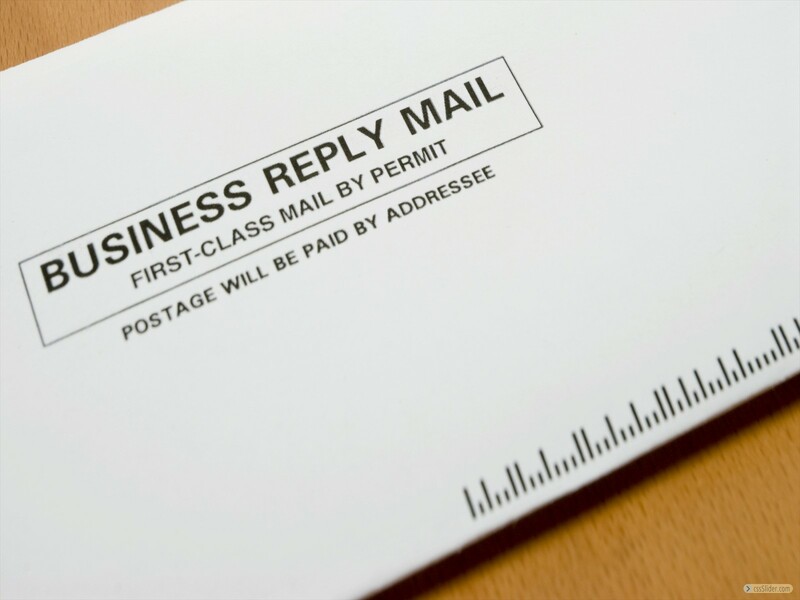 With First Class Mail, you can see local responses the next business day, or responses within three days anywhere in the United States. 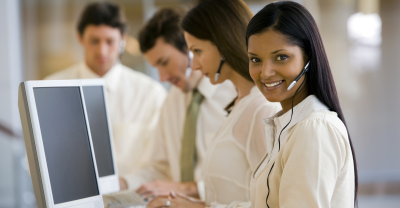 Don’t just wait for the phone to ring – use direct mail to make it ring FAST. We provide the same discounts the "big guys" get to ALL our customers – no matter how small the job. We process mountains of direct mail coming from many different direct mail campaigns, combine them into large production batches, and then print and mail them in volume very cheaply. You'll save 50% or more over traditional direct mail – and it is still so much faster and easier. No run-around, no blue lines (manual printer’s proofs), no printing, no stuffing, no labelling, no running to the U.S. post office for postage stamps, absolutely no hassle - we do all the direct mail production and mailing work for you. There is no guesswork involved – real-time production proofs, electronic order confirmations, production and mailing alerts, and a complete history of all your direct mail jobs and results assure complete ease and transparency. with the US Post Office back in 1999. In fact, Zairmail is an Authorized Online Direct Mail Affiliate Merchant. No one knows more about direct mail than Zairmail. Zairmail has over 12,000 registered users and we have helped thousands of customers grow their businesses using direct mail. Let us make direct mail work for YOU. Zairmail guarantees you the best prices. No one else can offer you a service as fast and easy as Zairmail. However, it is always our goal to offer you the overall best direct mail value too. Bring a competitive quote on any custom direct mail order. If we can’t meet or beat that quote with a comparable product, and send it out even faster, we will send you a Zairmail coffee mug and a gift card for coffee on us. Relax, we've got your back.